Cream Acres Ranch is located in the farming community of Alfalfa, Oregon, just 13 miles east of Bend, in sunny Central Oregon. 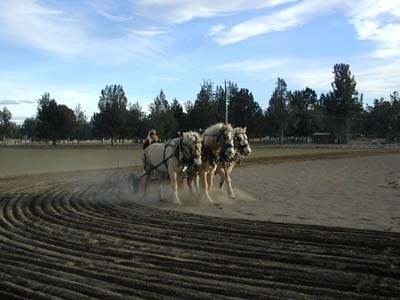 Our 40 acre hay ranch is home to the only breed of draft horse to look through a collar to have its origin right here in the United States. Since 1985 we have been dedicated to saving this breed from extinction. 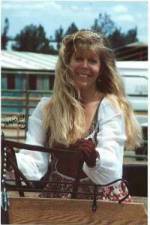 Back in the mid 80's we became aware of the fact that only 20 of these horses could be found and at that time the American Minor Breeds Conservancy (AMBC), now the (ALBC), American Livestock Breeds Conservancy, was calling them virtually extinct. 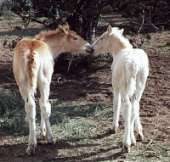 Since that time we at Cream Acres Ranch have dedicated ourselves to saving this remarkable breed by exposing these wonderful horses through articles, by breeding and selling foals, by offering at stud the first and only Grand Champion Stallion in the registry for many years, and by being the first breeders to offer artificial insemination (AI). 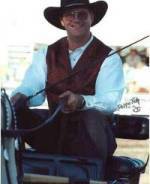 Our horses show in halter, hitch, and cart classes at draft horse shows. But more importantly, our horses work our hay ranch, bringing in the hay and doing all of the chores that make a crop like this possible. Captain's Barnabus Gold, our handsome stallion works in team with his mares mowing, raking, cultivating and under saddle. We are very proud to be involved in saving a beautiful part of our American farm history, The American Cream Draft Horse. Come and see for yourself just how wonderful they really are!